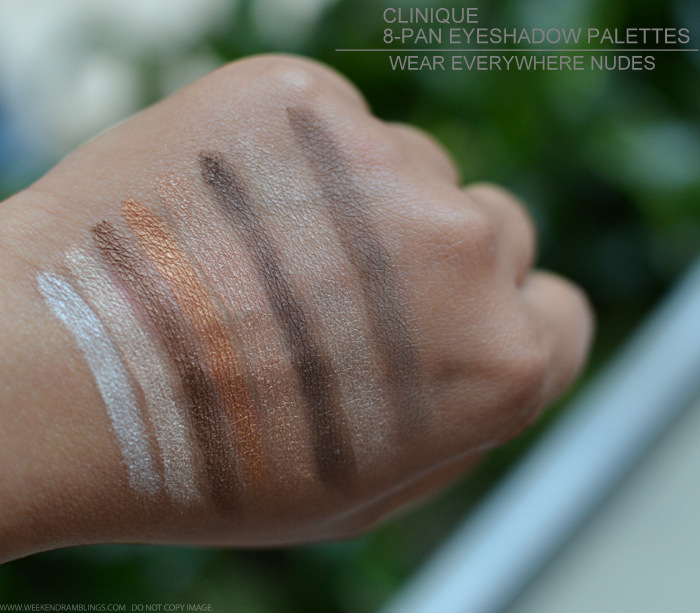 Clinique is one of my favorite skincare brands, but I rarely pay much attention to Clinique makeup. 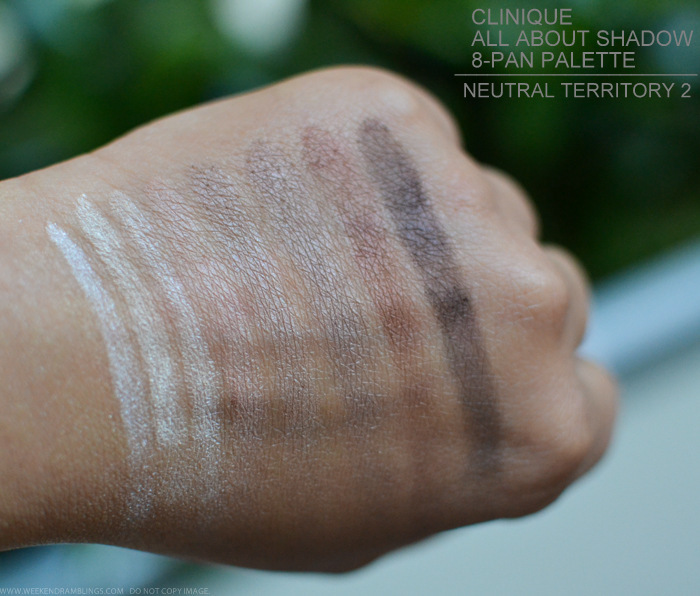 For the most part, though, Clinique makeup is just like the skincare range - soft, easy to use, and works for most skin tones. 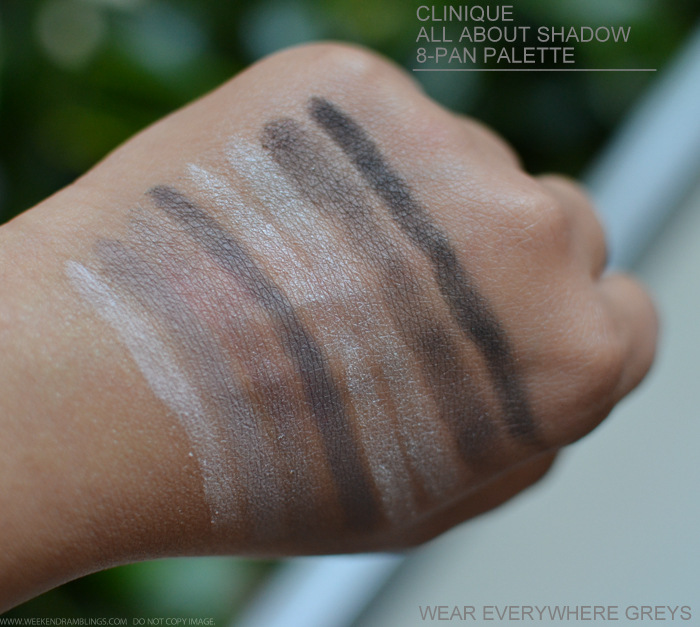 The Clinique All About Shadow 8-Pan Palettes would be a good example, with easy to wear neutral shades for makeup that can go from soft daytime looks to smokey evening eyes, all in a sleek mirrored compact. Scroll on for more photos and swatches. 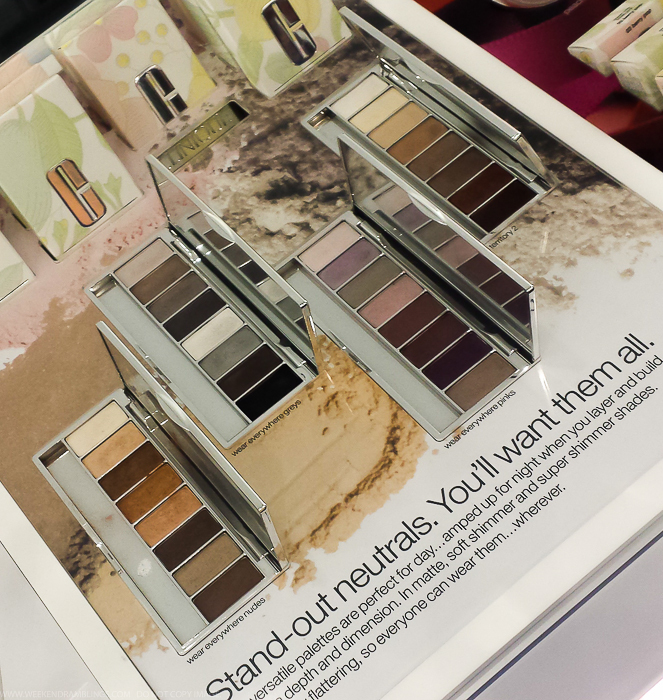 As someone who loves neutrals, I find the Clinique's 8-Pan eyeshadow palettes perfect. 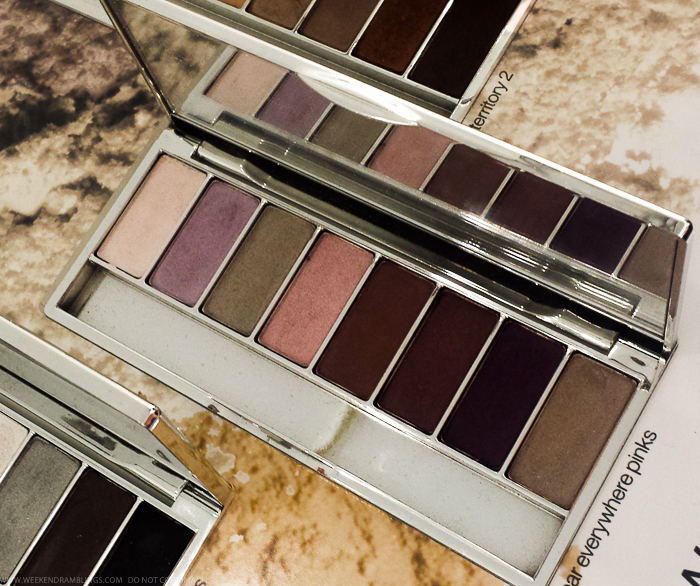 Each of the palettes has a lovely mix of mattes and satin-sheen shadows and just the right mix of colors for a whole range of eye makeup looks. 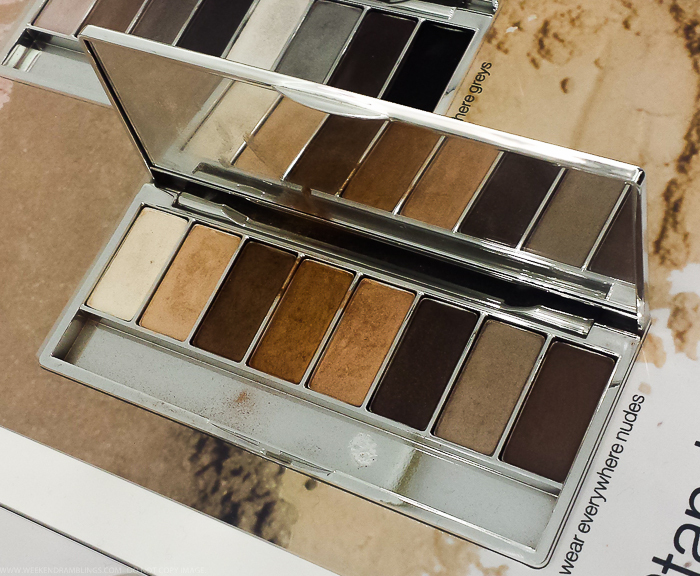 Perfect for wearing to office but just as easily can be used for a heavier smokey eye, yet remaining sophisticated and neutral at all times. 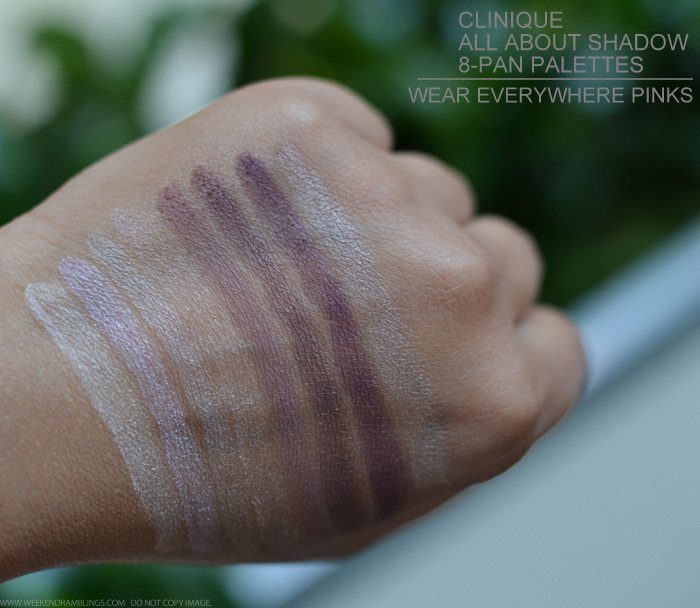 If you like sparkle or shimmer and/or just prefer brighter pops of color, these palettes might not wow you, but if you are looking for a a good basic eyeshadow palette - one or two palettes that you can get a whole lot of use out of - then do give the Clinique All About Shadow 8-pan palettes a try. 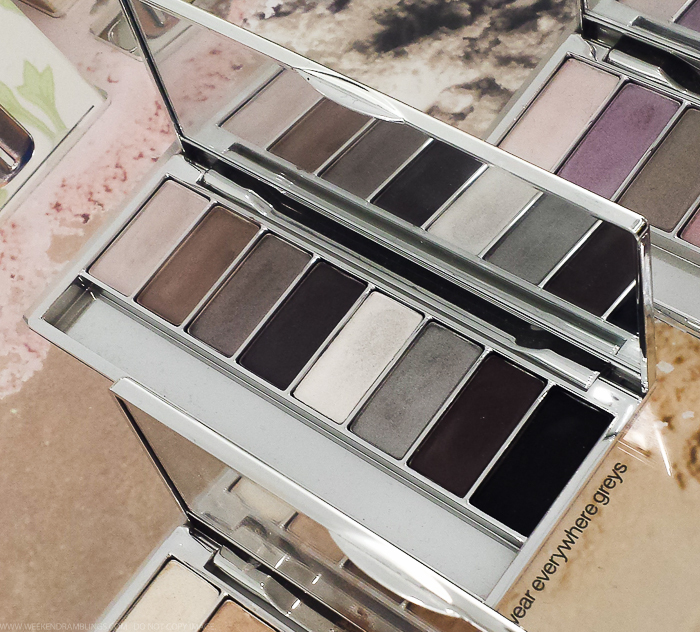 My favorites, going by how easily they showed up on my skin, would be Wear Everywhere Greys and Wear Everywhere Nudes. 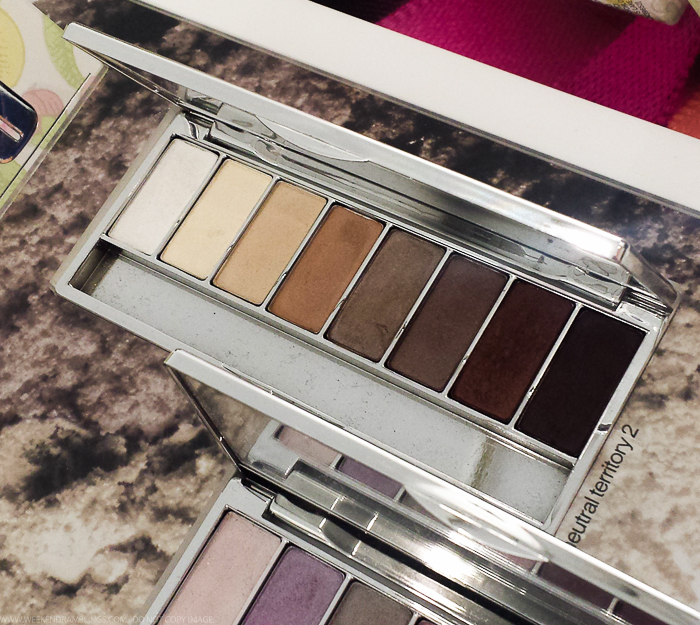 This range includes 3 more palettes - Wear Everywhere Greens, Wear Everywhere Blues, and a A Black Honey Affair (this looks really interesting with lovely purples and warm browns) - and I will try to update with photos and swatches of those some time soon.